James A. Horchak is an associate at the firm and concentrates his practice in the areas of Estate Planning and Estate Administration. Mr. Horchak received his B.S. from Saint Vincent College in 1992, where he majored in Business Administration and minored in Finance, and his J.D. from Duquesne University School of Law in 2000. He was a published member of the Duquesne Law Review. Mr. Horchak has been a Certified Public Accountant since 1995. Before becoming a lawyer, he was an accountant with Sarp & Company for two years, Datemasch Milano & Associates for four years, and Deloitte & Touche for three years. He is a member of the Pennsylvania Institute of Certified Public Accountants. Mr. Horchak is admitted to practice before the courts of the Commonwealth of Pennsylvania, the United States District Court for the Western District of Pennsylvania, the United States Court of Appeals for the Third Circuit, the United States Tax Court, and the Supreme Court of the United States. 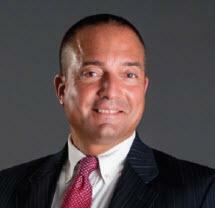 Mr. Horchak is a member of the Westmoreland County and Pennsylvania Bar Associations. He is a member of the Orphans’ Court and Real Estate Committee of the Westmoreland County Bar Association. He is a past chair of the Young Lawyers and Business/Employment Law Committees of the Westmoreland Bar Association. Mr. Horchak was recognized by his peers as a Pennsylvania Super Lawyer in 2016 and 2017 as a“Rising Star” in 2005, 2006 and 2010. He was also honored as an Outstanding Young Lawyer of the Westmoreland Bar Association in 2005. Mr. Horchak grew up in South Greensburg Borough. He graduated from Greensburg Salem High School in 1988. Other than residing in Allegheny County for a few years during law school, he has resided in Westmoreland County all of his life. He is a member of the St. Bruno Parish in South Greensburg. Mr. Horchak currently resides in Youngwood Borough with his wife Beth and their three young children. In his time off, Mr. Horchak enjoys organizing and coaching youth sports, spending time with his family, and watching Steelers games.